As one of the first brands to introduce a complete hydraulic disc brake system back in 1993, Italian company Formula is likely best known to mountain bikers for its extensive line of disc brakes. 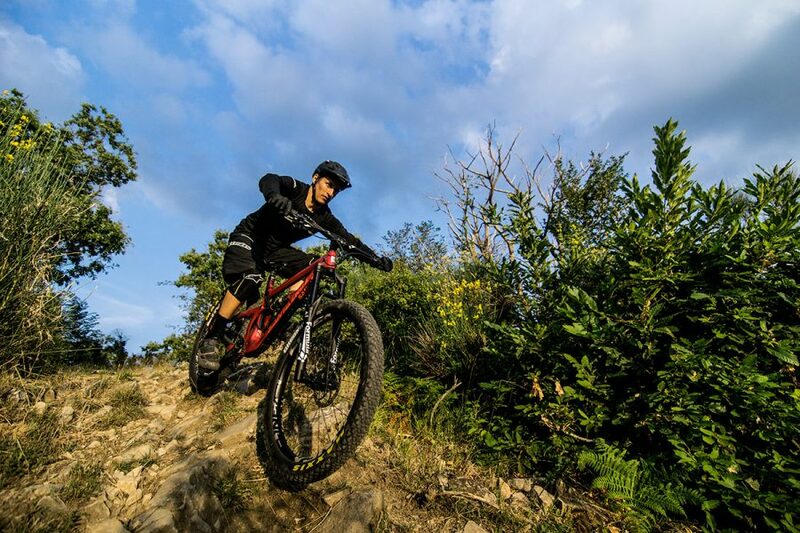 In recent years however, Formula has drawn on its extensive experience of manufacturing motorbike suspension to present a growing range of mountain bike suspension forks. 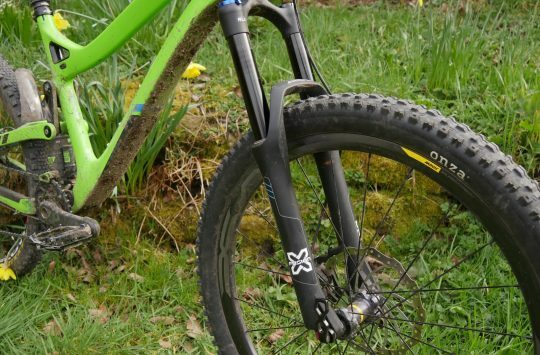 Those include various iterations of the ’33’ and the ’35’ forks, which have emerged as niche alternatives to the likes of RockShox and Fox. All-new chassis, all-new name, and all-new logo. 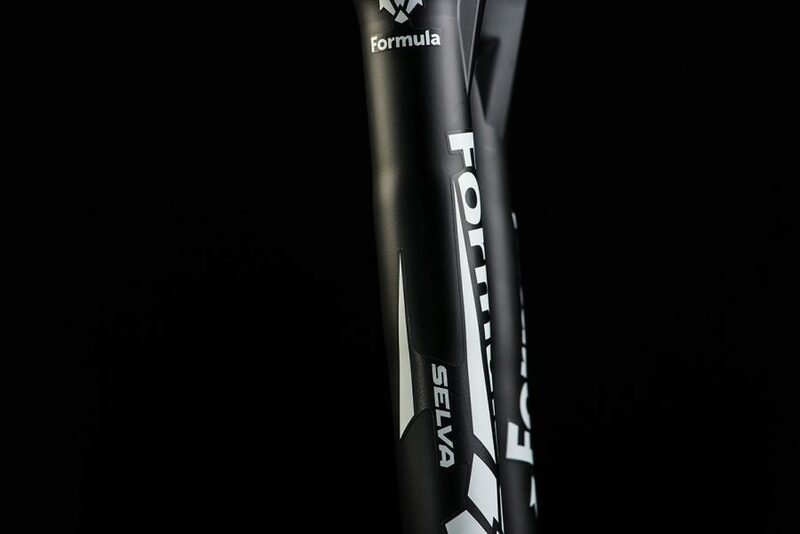 Does the Selva signal the start of more new fork options from Formula? ST: Is the Selva a replacement for the 35? No, it is not a replacement. 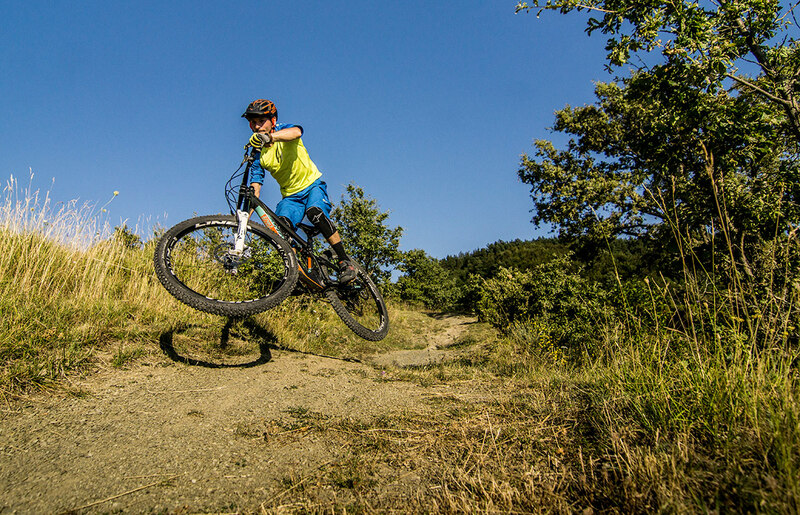 Selva is our BOOST enduro fork. It has the same spring and hydraulics of the 35, but with a new lower and the Hexagon Design to improve stiffness. The 35 will not be discontinued since standard hubs are still the vast majority. On the other side we hardly believe that boost will be THE standard in the future. ST: I see that the Selva is heavier than the 35 fork. Is it simply the chassis that is different? It’s heavier due to different lower and different crown. The internal is the same. Still very light if you compare it with other BOOST forks. 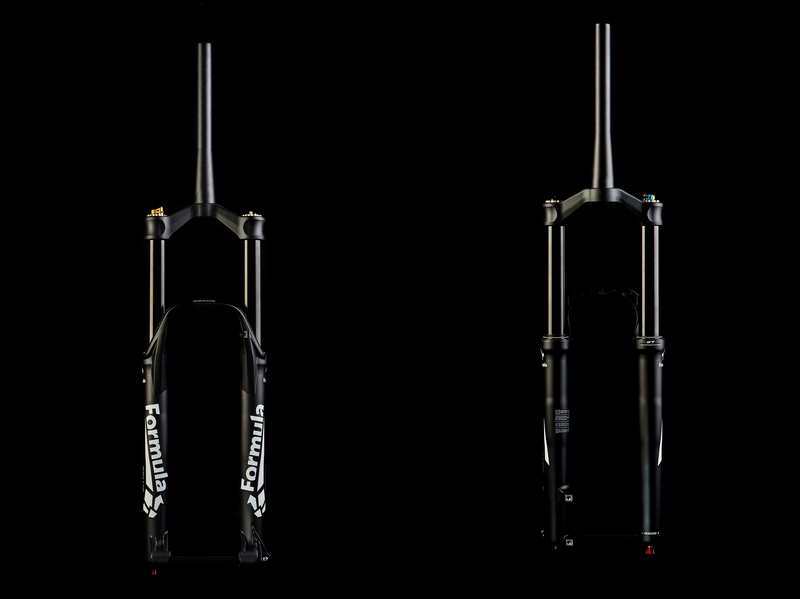 The Selva is a super robust fork for enduro racing and aggressive all mountain, since you have the option of 180mm travel and 20mm thru-axle. ST: What other differences are there between the 35 and the Selva? As I said, just lower legs and crown. But this is not a small difference. 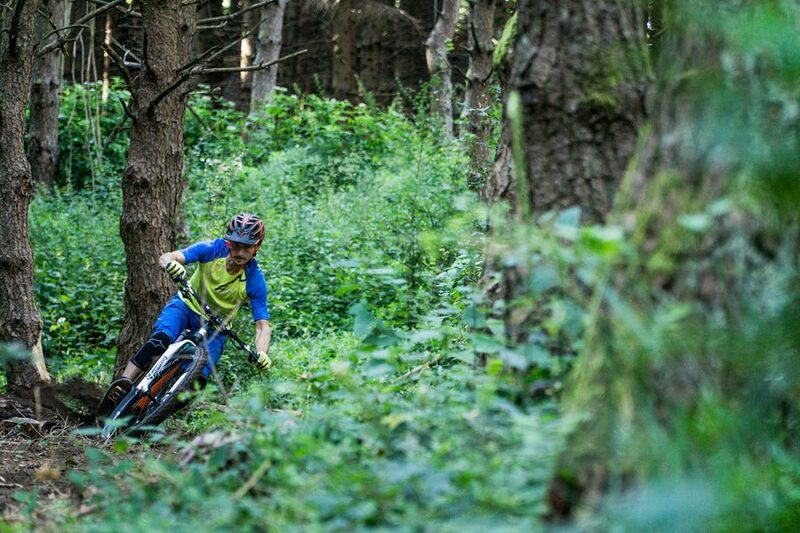 The new lowers change a bit the stiffness of the fork. Our 35 is a perfect balance and so is the Selva, but maybe a little bit more ready for aggressive use. 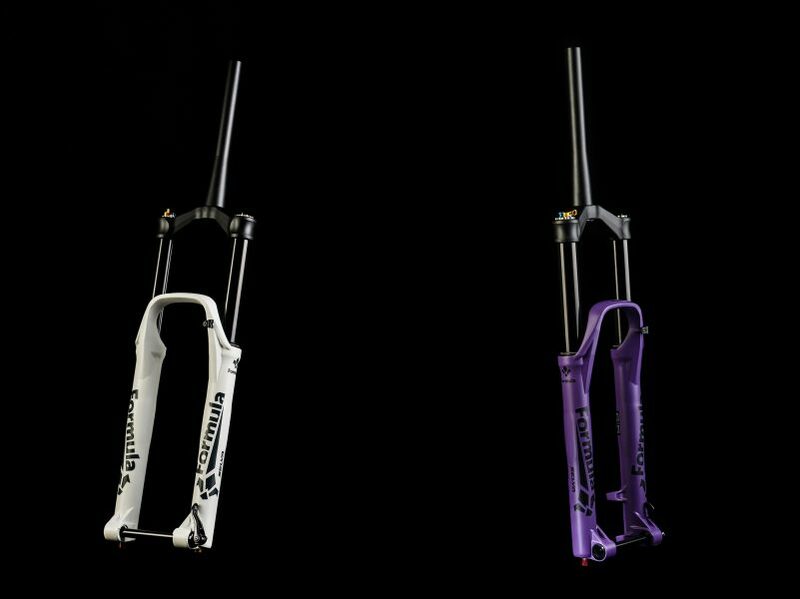 We prevent the “flexy issue” that more of the BOOST forks have with our Hexagon Design of the lowers. 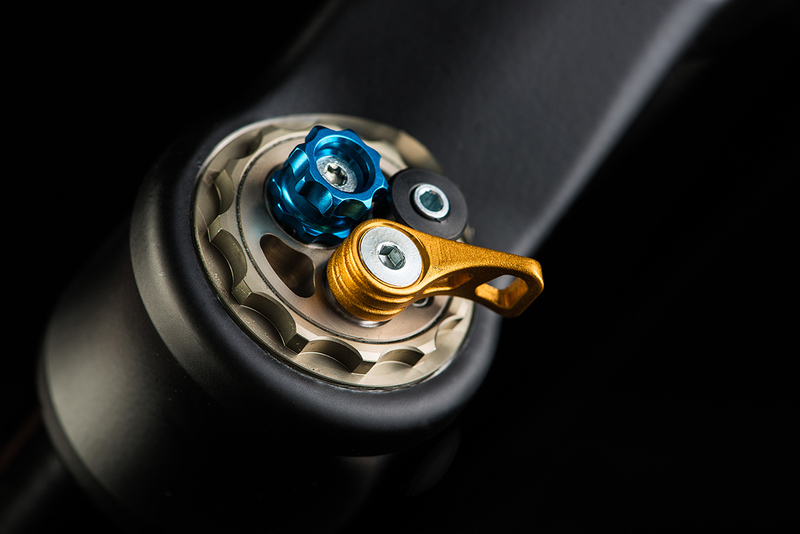 ST: The blue compression adjuster dial; is this for adjusting high or low-speed compression? The blue knob is low-speed compression. The heads you can change with CTS affects the high compression. On top of that you can play with compression also on the air side. Instead of token we used oil, you can put there anything in between 5cc and 25cc. So you can work better than tokens on compression cause you don’t have the steps of a piece of plastic. Let’s say that this is more like a fine tuning with the oil. 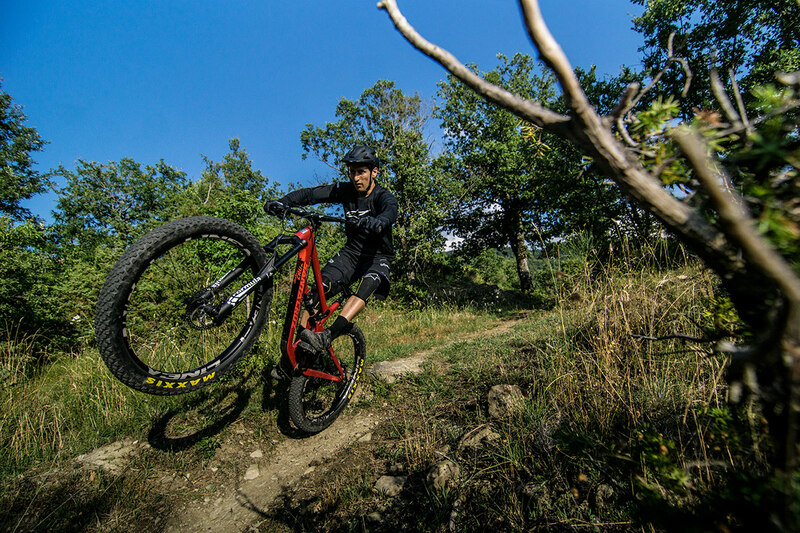 The Selva is a long-travel suspension fork that Formula have built for enduro racing and hard-hitting all mountain riding. 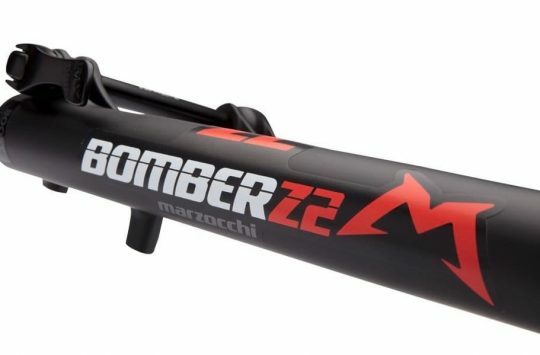 It’s available in 29/27.5/27.5+ options, and with 120-160mm of travel. There’s also an ‘Extended’ version that pumps up travel to 170-180mm. 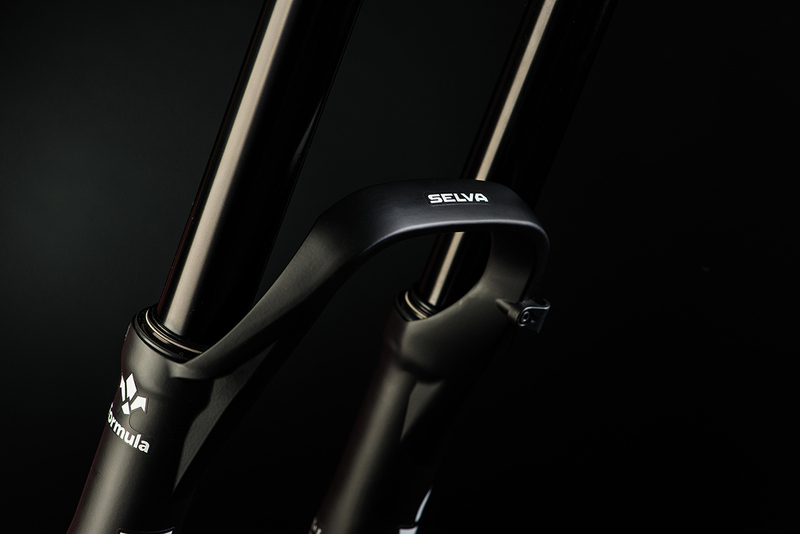 The new Selva features a redesigned chassis that is beefier than the existing Formula 35 fork. It doesn’t replace the 35, but is rather an additional option to the range to accommodate new BOOST front wheels and wider tyres. There’s almost 200 grams of extra mass in the Selva, which Formula claims has added the necessary strength and stiffness to handle the wider BOOST hub spacing. Formula have gone to some lengths not to make the Selva too stiff however. They claim they’ve done this with their new Hexagon Design, which uses externally-shaped lowers to control unwanted flex. The machined alloy crown is beefier than that found on the 35. The Selva is only available with a tapered 1.5in steerer tube. A unique hybrid air/coil spring system is used to control the Selva’s travel. Just like the 33 and 35 forks, the Selva has a primary air spring, a coil negative spring, and a coil ‘starter’ spring, which helps ease the fork into its travel. 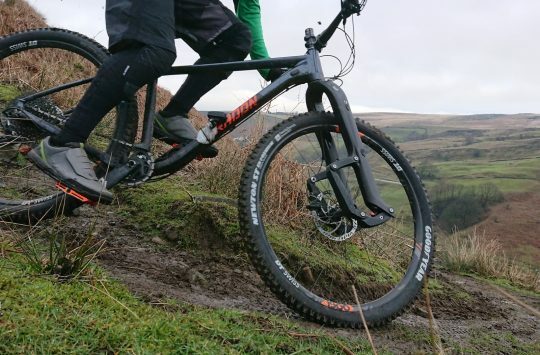 Having ridden Formula’s existing forks, we can confirm that they are uber-smooth. 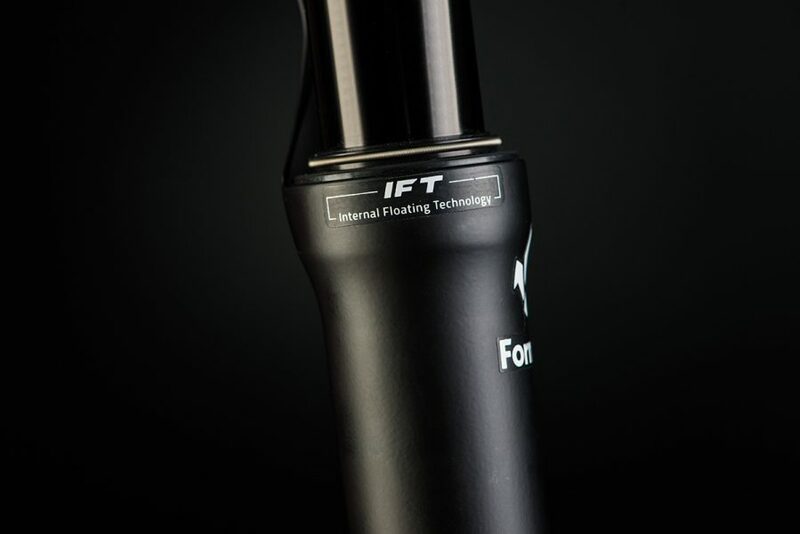 Not to be confused with Internal Floating Piston (IFP), the Internal Floating Technology (IFT) simply refers to the integration of the air spring with the Selva’s chassis. 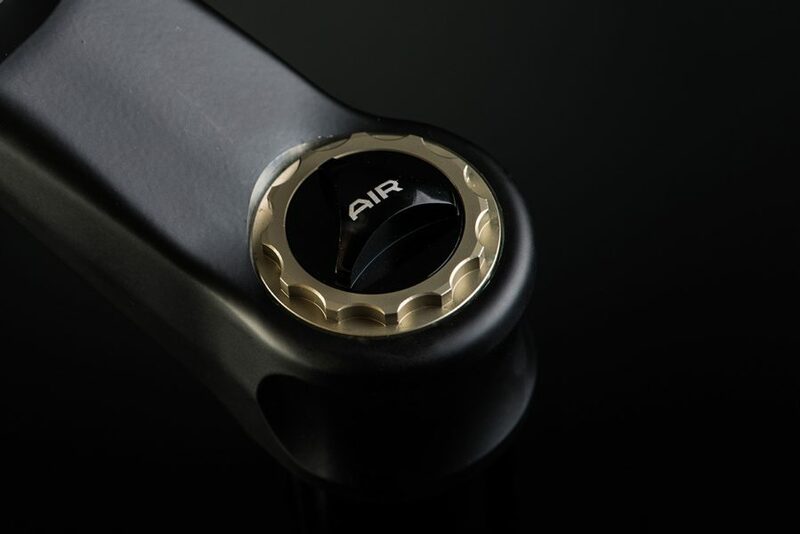 A ball joint on the end of the main seal for the air spring means that lateral loading on the fork doesn’t affect the suspension feel due to flex of the internals. More dials than an F-11 cockpit. Well, maybe not quite that many. Just three really. The gold lever is an on/off lockout, the blue dial is for adjusting low-speed compression, and the black adjuster (2.5mm hex key) is for adjusting the lockout threshold. 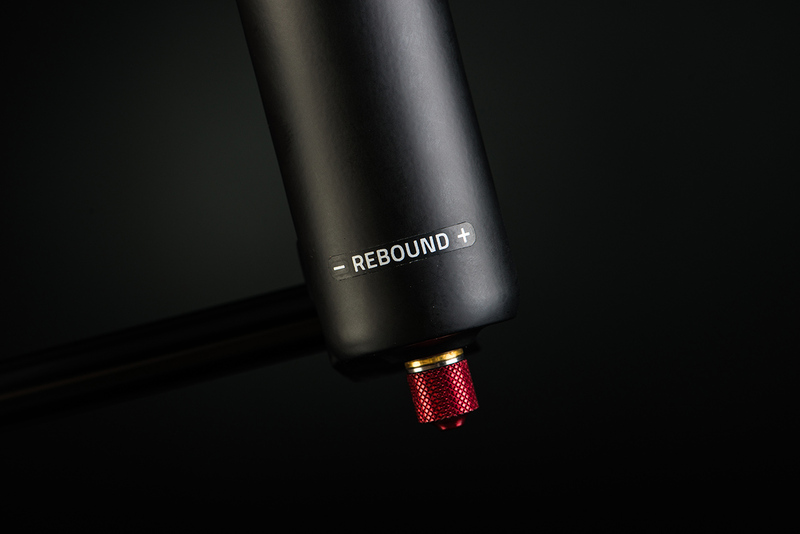 External rebound adjustment is made via the red dial at the base of the right fork leg. AFA: Another Fancy Acronym. Ok, so this one is kind of neat. 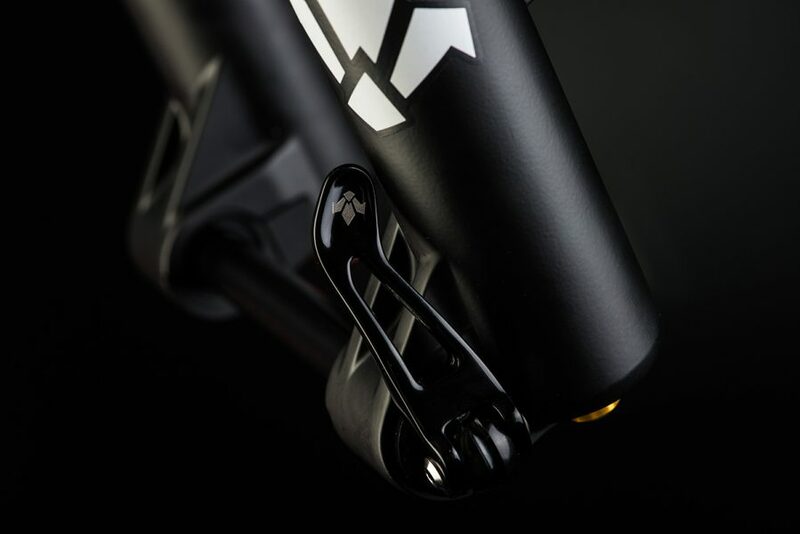 It’s the lever for the thru-axle, which can be set at any angle after you’ve tightened it up. Formula call it (*sigh*) Integrated Locking System, or ILS for short. Pretty simple. The end of the lever uses a 5mm hex key to lock into the axle for tightening or loosening. Worried about precious grams on your race run? Then you can ditch the lever. 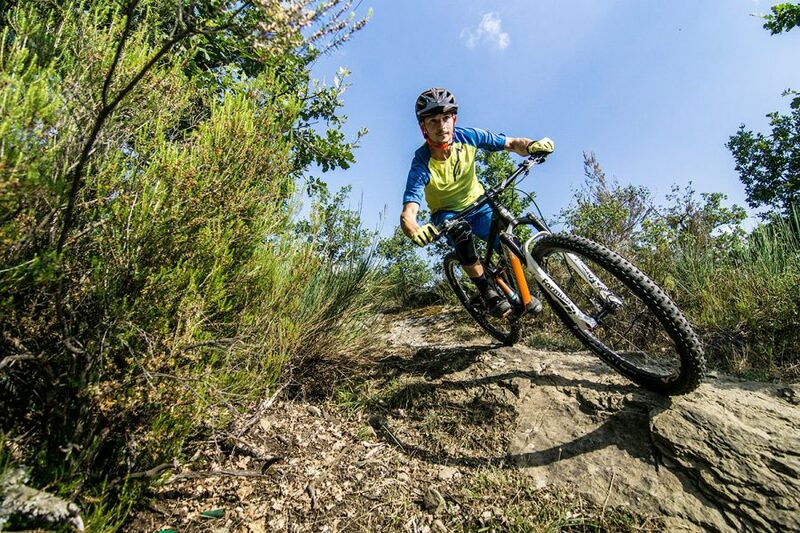 When you re-install, the lever ‘pops’ into place thanks to a small rubber O-ring that avoids self-ejection on the trail. Available aftermarket for €13 is this alternative to the ILS lever. 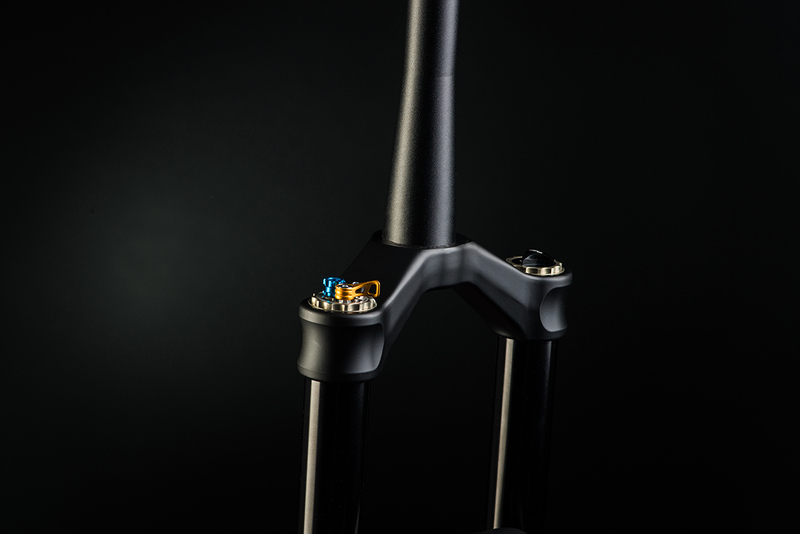 It’s basically a L-shaped hex tool with a 5mm end for the axle, and a 2.5mm tip for adjusting the lockout threshold dial at the top of the fork. If you’re a gram counter, you’ll be thrilled to know that this is lighter that the ILS lever. How much lighter? We’re not sure, but it’s probably like 3x jelly snakes. Love to fiddle and fidget? For €62 you can adjust low-speed compression damping via this RCC hydraulic remote that sits on your bars. 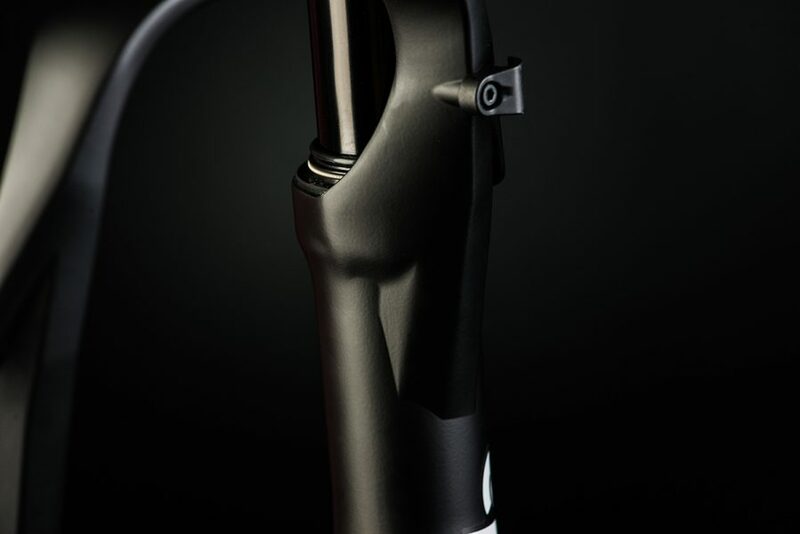 RCC effectively combines the lockout and low-speed compression damping into the one lever. It’s indexed with 13 notches to give you heaps of adjustment between wide-open and fully locked. Ok, we got AFA for you: the Compression Tuning System (CTS) provides you with three high-speed compression shim stack modules. This valve head sits underneath the blue external compression adjuster, and the CTS dealio means you can easily swap in a different module to alter the high-speed compression feel. You’ll have to pay to play however, with the CTS kit (including the blue tool) selling for €99. Did we mention that the Selva comes IN FREAKIN’ PURPLE? !